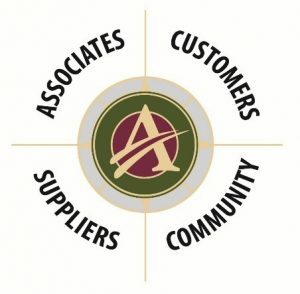 Alliance Beverage is striving every day to be the Preferred Distributor for everyone we interact with. We exist to help fulfill and enhance the quality of lives of our associates, customers, suppliers and community. We strive together to create responsible relationships that are based on integrity and respect. Sell and distribute quality products. We will succeed by offering a diverse portfolio of profitable products; train and empower our associates to provide value-added service for our customers and suppliers in a rewarding and accountable environment.